All photos were provided courtesy of The Biscuit Bar. When you imagine a fresh, fluffy, homemade biscuit your mind probably goes right to breakfast. 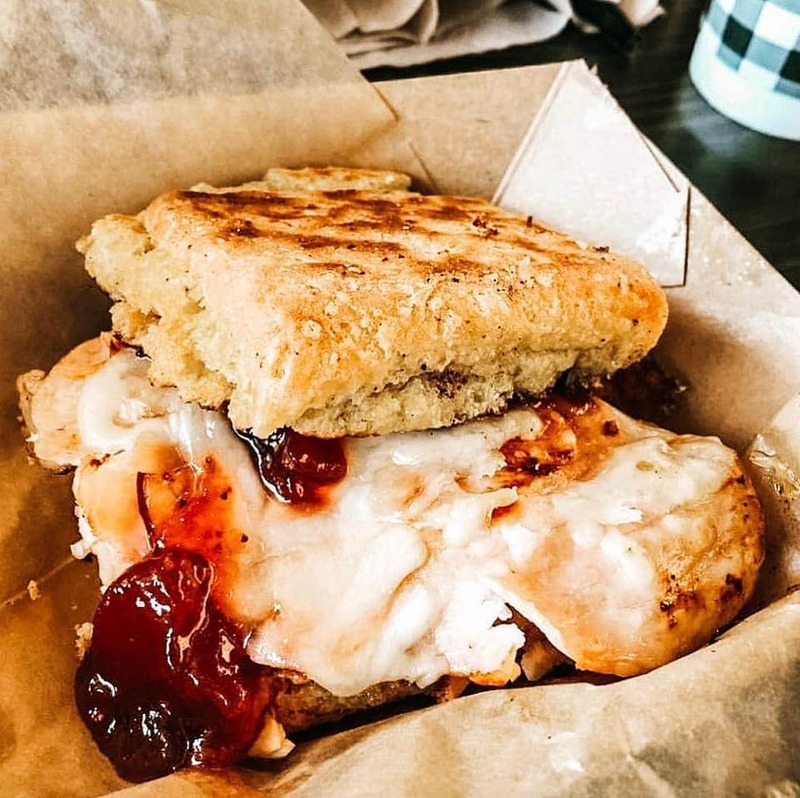 However, once you experience what The Biscuit Bar does with their biscuits, you’ll realize that having a biscuit for dinner is not only acceptable but a MUST. 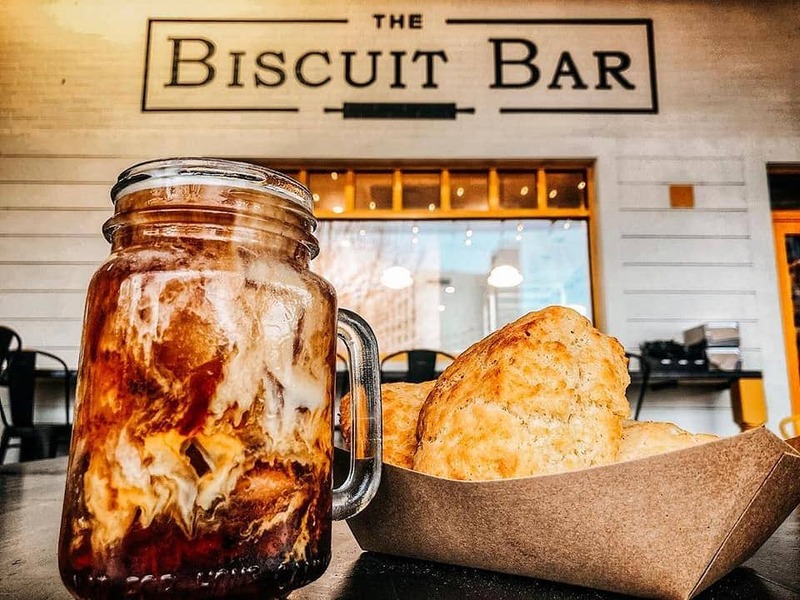 A fast-casual restaurant featuring an assortment of savory and sweet biscuit sandwiches (made from scratch, in-house, daily), The Biscuit Bar has a heartwarming back story. In late 2016, Owners Jake and Janie Burkett suffered a tragedy that no parent should ever have to experience. They lost their baby girl following a severe infection. With their world crashing down around them, family and friends surrounded the Burketts with support, love, and meals. Simple comfort foods were a staple, with one item recurring: Biscuits. On New Year’s Eve 2016, Janie’s brother, Jake, and Janie created a “biscuit bar” in their home kitchen consisting of homemade biscuits and a line of mouth-watering toppings. The success of these custom-made, do-it-yourself biscuit sandwiches birthed an idea in their hearts. Now, 2 years later, the delicious menu at their Boardwalk restaurant offers a wide unique variety of options from the classic biscuit with housemade sausage gravy to surprising sandwiches such as The Philly. The Philly is a nice take on the classic Philly Cheesesteak with seasoned ribeye, sautéed green peppers and onions, topped with melted jack cheese and sriracha mayo. Tater tots own space on the menu as well with both sweet potato tots and regular tots up for grabs. The fun doesn’t stop there though, as just like with their creative spin on sandwiches, you can “style your tots”. 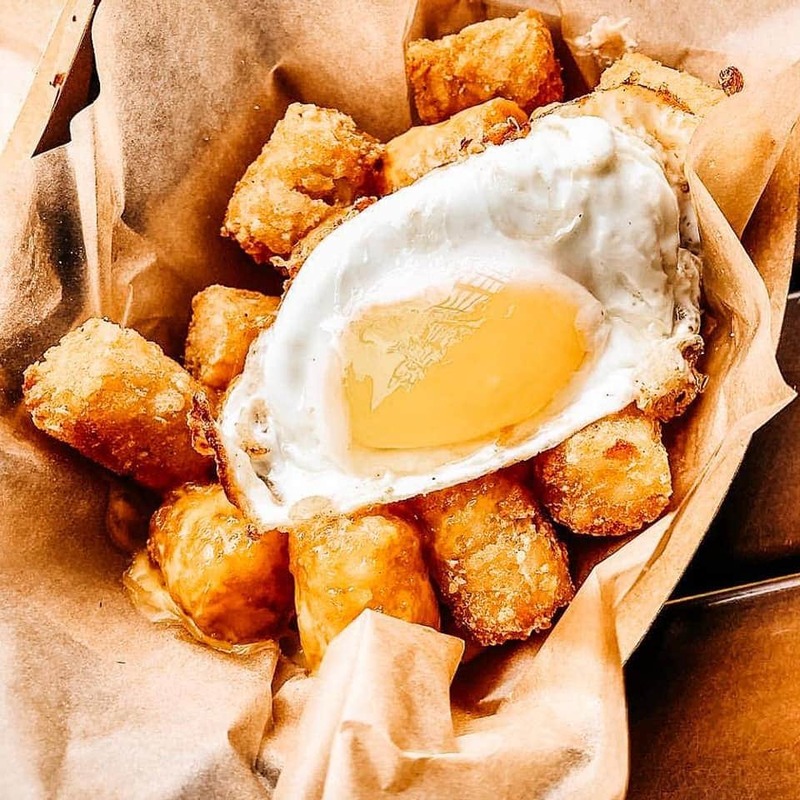 Breakfast Style tots are presented with bacon, egg and cheddar cheese. Fully Loaded Style is a delicious mess of double bacon, cheddar cheese, sour cream, and green onions. Taco Style, Holiday Style…each can be ordered in sweet potato or original style tater tots. 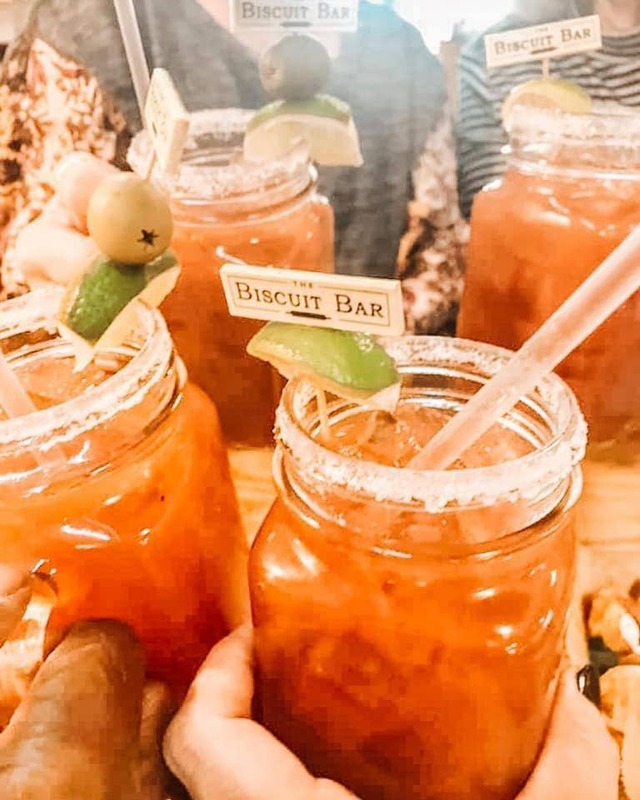 The Biscuit Bar also has a large bar where you can find mimosas, wine, local beers, and cocktails on tap. Made with Tito’s vodka and coffee liqueur, the Tipsy Joe is finished with a splash of milk. A nice little drink to really help you wake up! 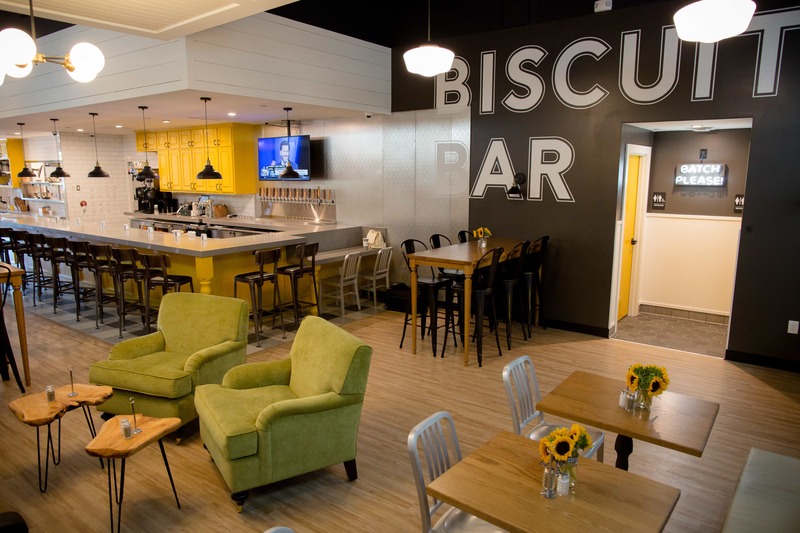 The Biscuit Bar embraces who they are with an approachable attitude and quality food. Most of the seating is on the patio facing The Boardwalk. The patio is heated with TVs and even on a cold day, it’s typically full. 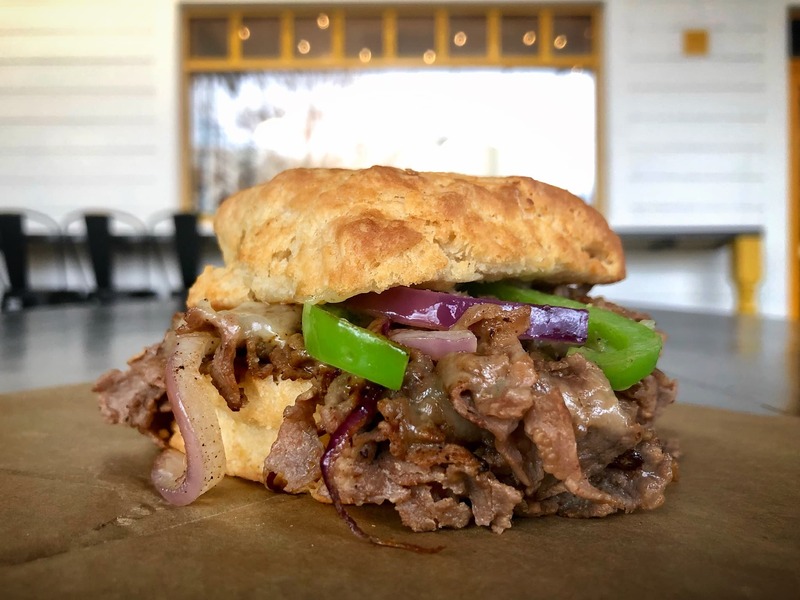 Check out the complete menu on their website, and spread the word…we hear they’re opening up a second location in Highland Park right by SMU, and have plans for more locations throughout Texas.